From startup firms to global corporations, Missouri’s pro-business climate continues to offer a perfect location for all industries to thrive. The Show Me State offers a low tax rate, reduced red tape and business friendly regulations. 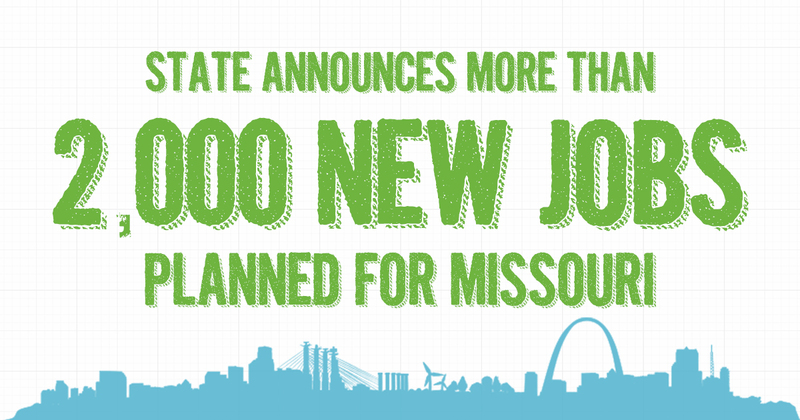 Your business in Missouri will also benefit from the low utility rates, central location and cutting-edge workforce training solutions. Whether you are here to grow your business, find a career, raise a family, produce a film, or take a family vacation, you will feel right at home in Missouri. Located in the heart of the country, our work ethic is second to none, our products are as diverse as the industries and customers they serve, and our culture continues to inspire and innovate. Check out this helpful state comparison tool from our partners at the Missouri Partnership and see for yourself how how highly we rank. Missouri has the 4th most diverse economy in the nation. From IT to advanced manufacturing, to bioscience, and everything in between, we've got the tools you need to succeed. From the largest river system in the nation to 19 freight railroads, and more than 99 airports, largest highway system (ranked 7th), Missouri can help you connect quickly with your customers. If you are looking to grow but you do not have a lot of time, check out our certified sites which have been pre-qualified through a standardization process to meet the requirements of industry. Development and business prospects can review sites for compatibility with their development needs. ​Businesses locating or expanding in these designated certified geographical areas may access local incentives through local real property abatement for improvements made to an existing facility or for the construction of a new facility. These low-interest or zero-interest direct loans help small businesses take steps toward expanding and creating jobs. This program helps small business incubators leverage funds to use for working capital and other non-operating expenditures that support new business creation in communities. Missouri wants to increase the number of small businesses that are exporting and increase the value of exports for those small businesses that are currently exporting. Learn more about how to increase sales of your products on an international scale. See other export financing programs! Preserving our state’s history and culture is vital to growing the economy and attracting talent. This program incentivizes developers to maintaining the integrity of our historic buildings, giving them new life. Provides incentives for the rehabilitation or construction of owner-occupied homes in eligible areas of the state. To help companies embark on major investment and job creation expansions, this program provides funding to reduce necessary infrastructure and equipment expenses through the form of bonds. Companies that are considering an expansion in an economically distressed or blighted area with intentions to create above-average wage jobs may be able to access bond proceeds to purchase tangible personal property. Data hosting or internet publishing companies looking to locate or expand an existing data center facility may be able to access sales and utility tax exemptions based on the estimated costs of construction materials, machinery and equipment purchases, and utility costs. Provides low-interest loans to qualified borrowers through the issuance of tax-exempt revenue bonds for the acquisition, construction, and equipping of qualified manufacturing production facilities and/or equipment. With more than 120 wineries throughout the state, Missouri supports continued growth for our vineyards and wine producers. Through this program, growers and producers can access tax credits for the purchase of new equipment and materials for expanding Missouri’s win industry. To encourage the hiring of Missourians with barriers to employment, such as unemployed Veterans or former felons, employers can access tax credits for wages paid to new employees. There is no limit on the number of hires through this program. With the state’s premier company training program, Missouri companies can become more competitive by increasing the skills and productivity of their workforce. This program provides leading edge training that is customized for each company. Give your team what it needs to win! Take the hassle out of hiring. Post a detailed job order with us to connect with candidates who meet work experience, education, and other job qualifications. We also offer consulting and can help increase your hiring success as well as connect you with regional and statewide resources make your business more successful. In the event of a layoff, our team of professionals can help guide both affected employers and employees with customized services – all at no charge. Transitioning these workers to new employment or to new career opportunities helps keep your unemployment insurance low and is a courtesy to your former employees. Access wage reimbursements for new hires during the period you are getting them up to speed. You walk away with a confident newly trained employee AND a savings to your payroll. Hiring? Get connected with candidates who can verify they have what it takes to learn new processes quickly and effectively. Through the ACT’s NCRC program, workers obtain various levels of certificates through knowledge and skills-based tests. Employers across the state are now using this tool to promote and hire workers. Get matched with the right candidates the first time around! 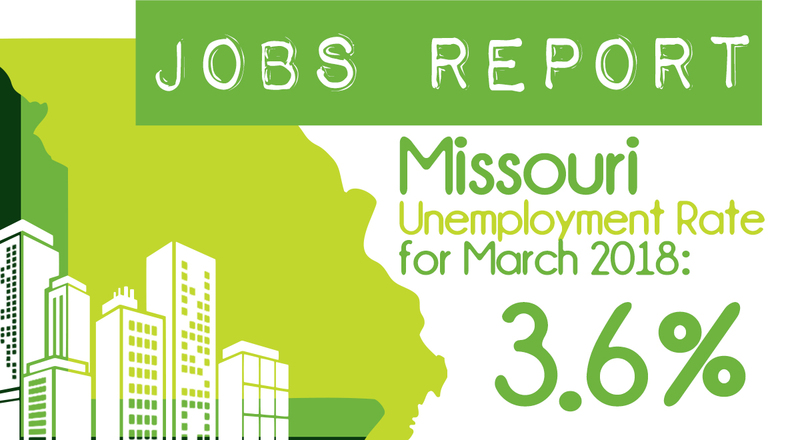 See Additional workforce training programs on the Missouri Business Portal! Our helpful and knowledgeable Business Specialists located across the state can help walk your growing company through Missouri’s business incentive programs as well as connect you with other resources to meet your specific needs. From retention projects, expansions, workforce training, infrastructure development and more, our team can help your business thrive. From reducing energy usage and costs in your business to learning about the state’s energy plan and how it can help your energy solutions company grow, Missouri’s Division of Energy has tips, information, and programs to energize the energy industry. We can help your business in the exporting process, assist in identifying buyers in foreign countries, and provide funding to help you connect with customers around the globe. Missouri also has an Online Product Directory to showcase your goods to buyers 24/7. Connect with your regional trade manager or see a list of our international offices around the world. With centers across the state, your startup is sure to find the space, mentorship, and connection to resources at one of our entrepreneurial ecosystems. Your one-stop shop for “everything business” in the state. From registering your business to filing your annual reports, and learning about employer requirements, get all the information you need to be successful in Missouri. Launched by one of Missouri’s very one entrepreneurs, this resource database provides valuable assistance to new and growing businesses. We make things in Missouri and with Missouri Enterprise, you can improve your manufacturing systems, develop & manage supply chains and partnerships, develop and market new products and services and learn how to secure business advantages in the global markets. There are a number of reasons to choose Missouri as the location of your business. With this helpful tool, you can choose from hundreds of available real estate (sites and buildings), as well as learn about the local and regional amenities and resources. Connect with our regional partnering agencies that can help you access resources from a local level. The Women’s Council serves as a resource and referral center to help encourage, educate and support Missouri women as they pursue their economic goals. They connect women to a network of accessible, high quality advisory services and information ranging from employment and training, to information on starting a business to how to balance work and family. If you need to sell, relocate, or dissolve your business, we can help you navigate the process as well as help your workforce transition to new employment.